Kayti Buehler, a doula of 5 + years, former VP of SDBN, and a student midwife in my 3rd year at Nizhoni Institute of Midwifery here in San Diego. 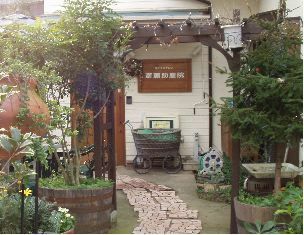 I will be in Japan for 2 months, leaving 2 weeks from today, with my handsome husband, on May 25th 2012, to get experience midwifing in a Birth House and with Sonoe-san, who is a homebirth midwife. I will also visit an old “independent midwife,” near Kyoto, who told me that she wants to start a doula training program because birth in Japan is starting to look like Birth In America. Lack of support is becoming the norm. The birth culture in Japan has, until recently, been threaded with the belief that a woman isn’t a woman if she doesn’t experience the fullness of childbirth. The experience of birthing- the challenge itself- bonds a woman to her baby and her supporting family members as go through this incredible moment together. Home birth and Birth House birth, from what I understand, are currently a small percentage of the total births: about 2%, like it is here. Hospital births, however, are done very differently. Midwives attend all normal births and most major hospitals offer waterbirth. The midwife (again, as I understand it- and it is changing…) stays with her laboring mom and acts as her doula and midwife until the end- when another midwife joins her for the birth itself. I’ll let you know what they say when I return. Cheers! How exciting, Kayti!! <3 We are sending lots of love with you to Japan. Can't wait to hear about your experiences!!!! Safe travels, my friend! How exciting for you! Sending you lots of good energy for your trip and looking forward to reading about your adventures! San Diego will miss you! Hugs!